The Chairman of the Presidential Advisory Committee Against Corruption, Prof. Itse Sagay, on Thursday said Nigeria risked losing another $550m recovered from the Abacha family to the United States. Sagay disclosed this during a media parley on asset recovery jointly organised by PACAC and Office of the Senior Special Assistant to the President on Foreign Affairs and the Diaspora. “Nigeria presently stands to lose another $550m recovered from the Abacha family to the US, contrary to the earlier promise by the U.S. to return same to Nigeria,” he said. Sagay said the amount represented a separate tranche from the earlier $480m forfeited to the US following a court judgment in August 2014. He said that the stringent conditions for repatriation being given by the countries in which some of the nation’s stolen wealth was stashed contradicted the earlier promises made. He expressed concern at the country’s challenges in the tracing, seizure, forfeiture and return of Nigeria’s assets laundered outside the country. Saga explained that the challenges were due to stringent conditions and other uncooperative attitude of the countries in possession of the stolen funds. 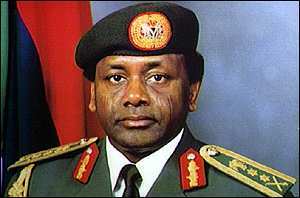 He said, “Out of the Abacha loot for instance, Switzerland seized over $505.5m between 2004 and 2006. “The UK recovered $2.7m from Alamieyeseigha’s account in London in 2005. Alamieyeseigha’s home and other real estate as at 2005 was estimated at over $15m,’’ Sagay said. “America has over $400m that have been officially recovered as stolen funds from Nigeria. But America is keeping the funds, they are telling us about technicalities; they are saying we recovered doesn’t mean we can return. She said, “The person who steals is a criminal; the person who keeps known stolen funds is also a criminal. “So we will join the committee to embark on an advocacy with Nigerians outside the world to appeal to these nations to do everything possible to return what belongs to Nigeria,” she said.